Could you provide more information about this 2003 Yamaha Zuma? Siegfried's Motorwerx is proud to present this head turning YAMAHA ZUMA 50! This zuma is powered by the LEGENDARY 2 stroke 49CC Yamaha Engine! These scooters are without a doubt a shop favorite, with their go anywhere attitude and unstoppable design there are ENDLESS possibilities for what you can do with a ZUMA! This Zuma has ultra low miles on it (1498 ORIGINAL MILES)! The two stroke platform featured on these year ZUMAS is without question the ULTIMATE in performance and economy! This scooter appears to have been very well maintained through out its life, the paint is in very good condition and this scooter is 100% mechanically sound! These 2 strokes are lightyears better then their 4 stroke replacements, so if you are in the market for a reliable scooter that is SUPER EASY to maintain, then look no FURTHER! This zuma has been fully serviced (carb clean, petcock cleaned, air filter replaced, new battery, new brakes, spark plug replaced) AND THIS ONE IS READY FOR THE OPEN ROAD!! We have a plethora of warranties available for purchase with this scooter! 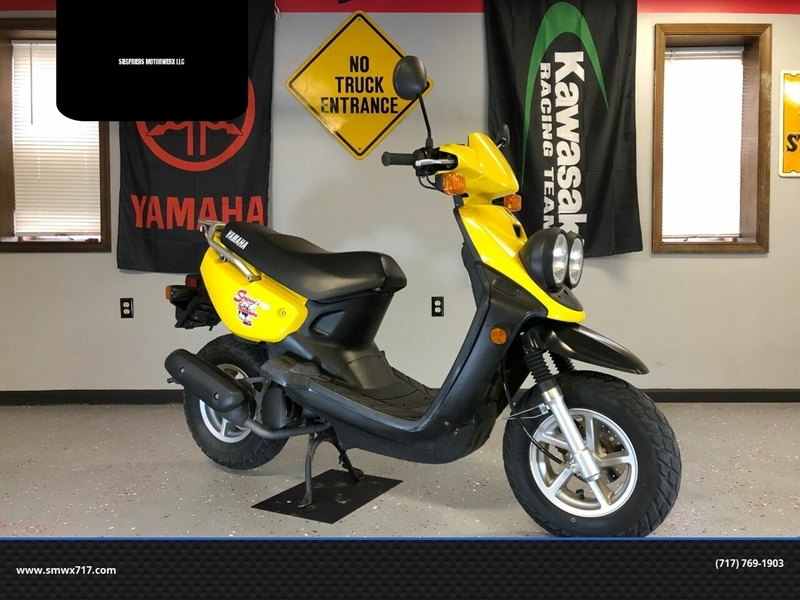 What is the price of the 2003 Yamaha Zuma you have in your inventory? What is the mileage of the 2003 Yamaha Zuma you have in your inventory? I was wondering if this 2003 Yamaha Zuma is still available?